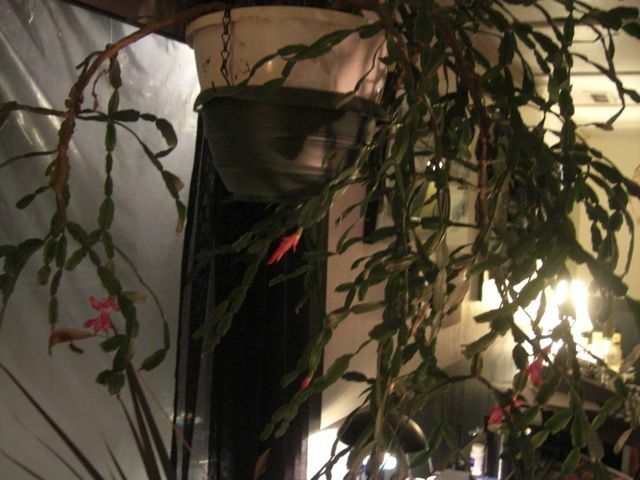 This is another post about my Christmas Cactus. You can see previous entries here, here, and here. 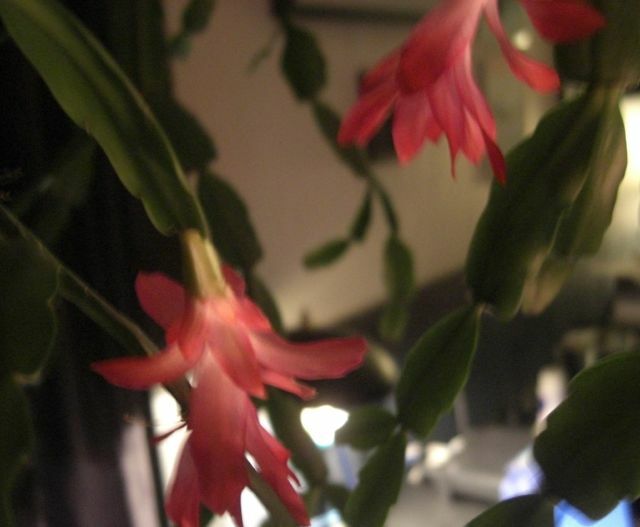 So the cactus has been producing flowers since I last posted about it on November 27. It's usually only one or two flowers at a time, but that is a lot of blooming for a plant I thought only bloomed once a year (and for a limited time!). The flowering has been so consistent, that I actually stopped noticing them as something remarkable. The cactus caught my eye this morning, however, as it was full of colour with 7 full blooms! I also counted 14 buds in various states of growth towards flowering. 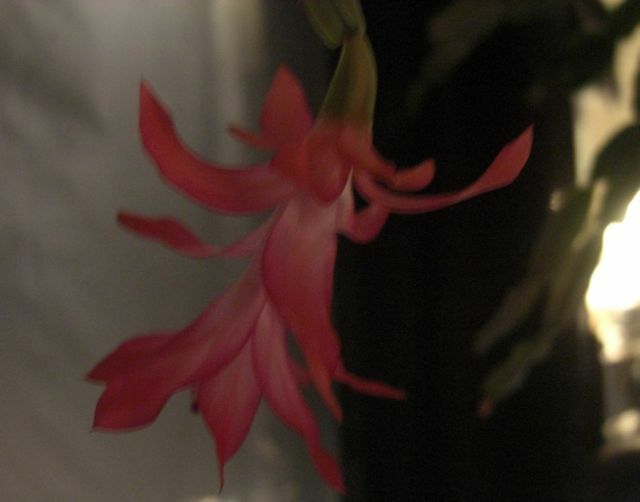 I asked Mom her thoughts on it's continuous state of blooming, and she said: "It must be happy and healthy". Way to go, my plant buddy! I hope you stay happy and healthy for many more years to come! I noticed some blooming action this morning! Very pretty and great to see you again.